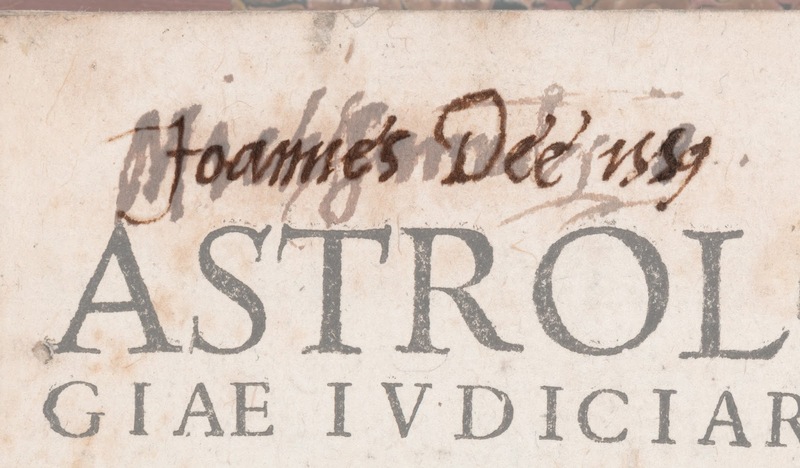 The RCP library has the largest known surviving collection of books owned by John Dee, the Elizabethan polymath. 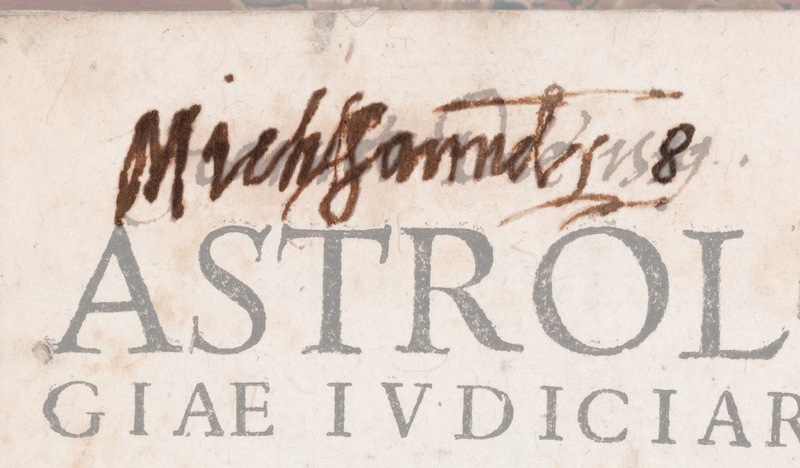 In several of these Dee’s signature has been over-written or obliterated by a man called Nicholas Saunder. 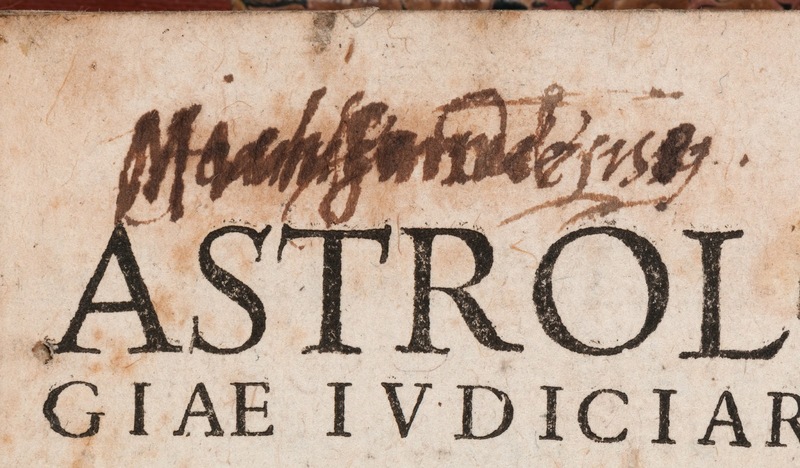 It’s possible to disentangle the two different signatures if you examine them very closely. 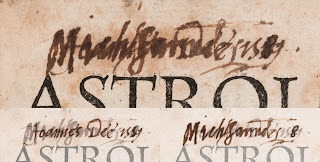 As part of the exhibition research I edited an image of them in order to show Dee’s original signature and then Saunders’ over the top. I’d hoped to use this image in the exhibition proper, and to display it next to the book itself. 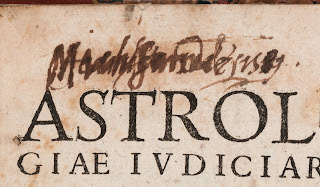 The image didn’t make the final cut, but we’ve been using a gif (animated image) of the two different signatures fading in and out as part of the exhibition publicity. As in the editing process I described earlier, you need to use layers to create gifs. Layers are like old-fashioned sheets of acetate that you can pile up on top of each other. 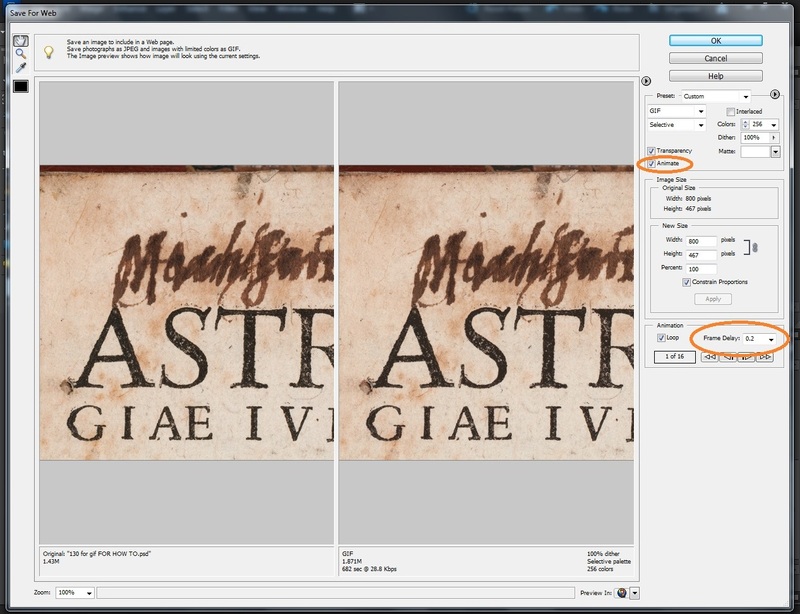 You can edit what’s on each layer individually, and can set the transparency (and other attributes) of each layer. You need to make one layer for each individual frame of the animation. 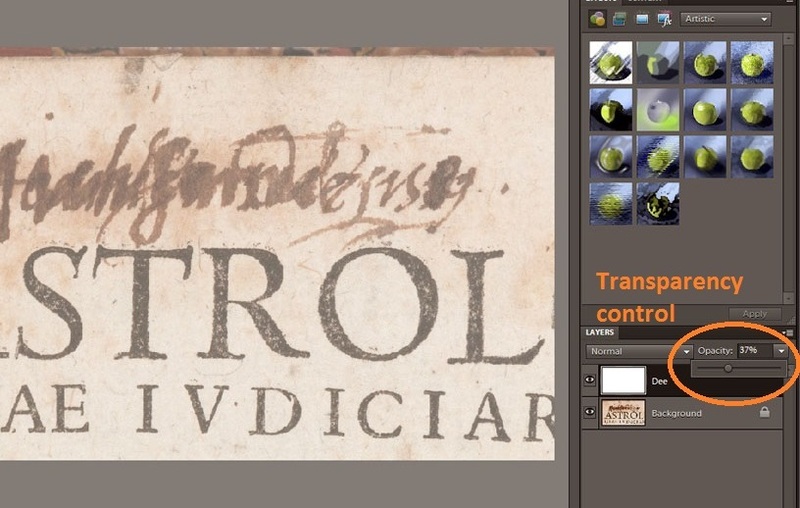 re-named this new layer to say which transparency value(s) were used. Saunder on its own: 40%, 30%, 20%, 10%. After all the layers were ready, I made sure they were in the correct order (you can drag and drop to move them around). Then I duplicated the first and frames a few times so that they would show for longer. 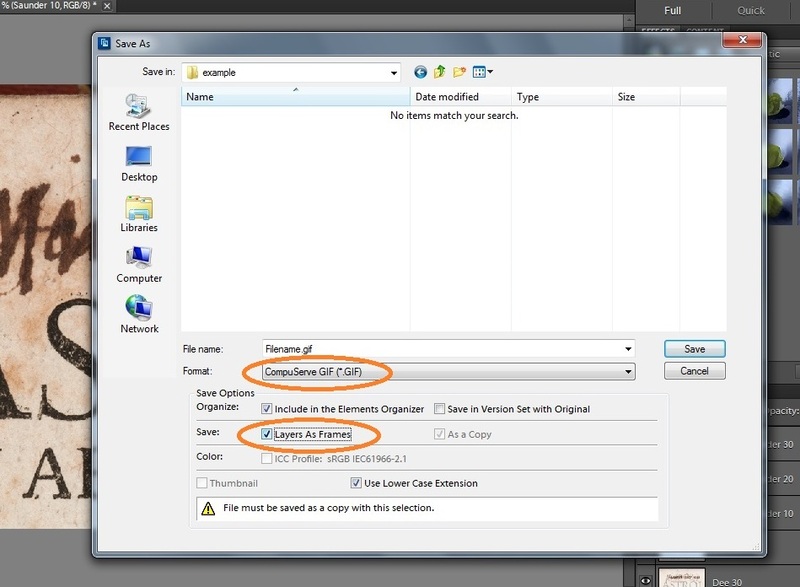 So save as a gif us the File>Save As option, and choose ‘gif’ (‘CompuServe gif’) as the file type. Tick the ‘Layers as Frames’ box. In the next dialogue box, tick ‘animate’ and then choose the frame rate. Remember to save the Photoshop file, too, in case you want to change things later! And that was it, more or less. I used more-or-less similar processes to make the other exhibition gifs. Some were much more straightforward: I just took lots of slightly different photos of a book with the camera mounted on a tripod, in the fashion of traditional stop-motion animation. It’s then just a case of layering up those images, by cutting and pasting them into a Photoshop file. 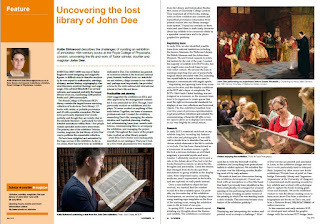 Months and months ago I showed these images to a group on a visit to see some John Dee books from the CILIP RBSCG annual conference. I promised to explain how I'd made them, and at long last, here's a how-to. 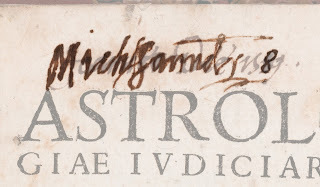 I started with a high-quality close-up photograph of the signatures, and I edited it using Photoshop Elements. Other photo-editing programmes are available (such as the free GNU Image Manipulation Programme) and would work just as well. The functions will probably look a bit different, though. The first step is to create a new layer. Layers are like old-fashioned sheets of acetate that you can pile up on top of each other. 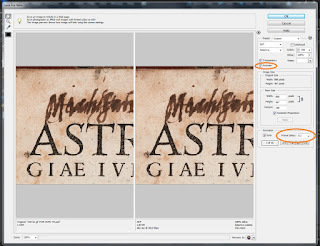 You can edit what’s on each layer individually, and can set the transparency (and other attributes) of each layer. 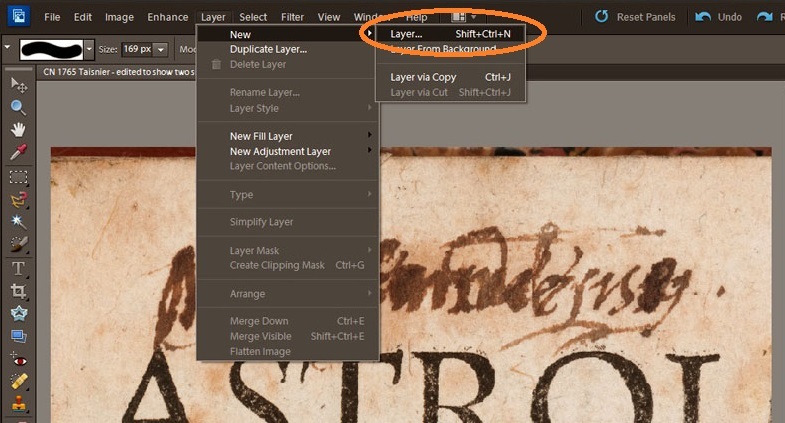 Create your new layer via the layer menu. Next, I painted the new layer white using the bucket tool. Then I set transparency of the new layer to around 40%. 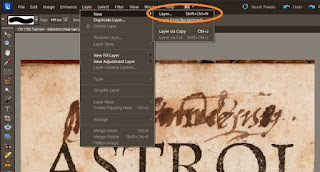 You can switch which layers you can see by clicking the little eye icon next to the layer name. 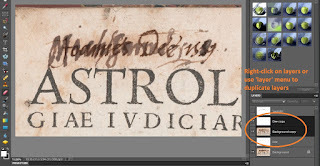 To reveal one of the signatures, I used the eraser tool to remove areas of the white layer, to reveal the full-colour ink beneath. There was no magic involved – just a lot of careful editing, using the book itself as a reference. 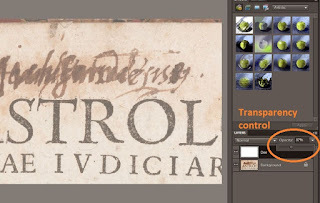 You can change the size and shape of the eraser tool using the controls at the top of the window. 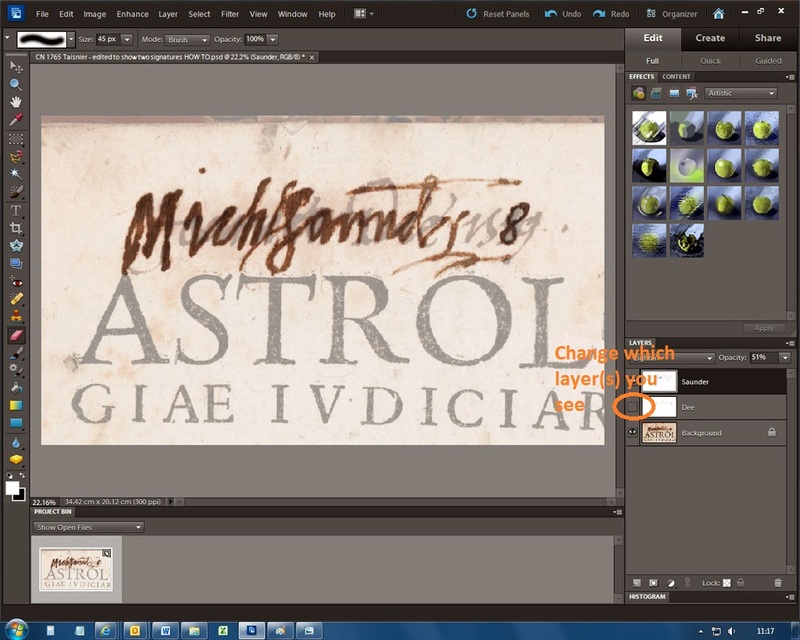 If you erase too much then you can add it back using the brush. 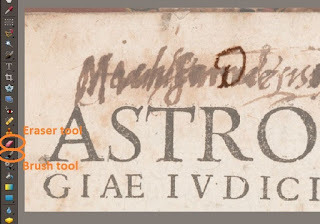 I used exactly the same procedure to uncover the Saunder signature. It took ages, with plenty of switching between the two to check that all the bits of ink were accounted for. When I was happy with the images, I saved each as a separate jpg file, and saved the Photoshop file so that I could come back later and tinker with the images further. I’d hoped to use this image in the exhibition proper, and to display it next to the book itself. 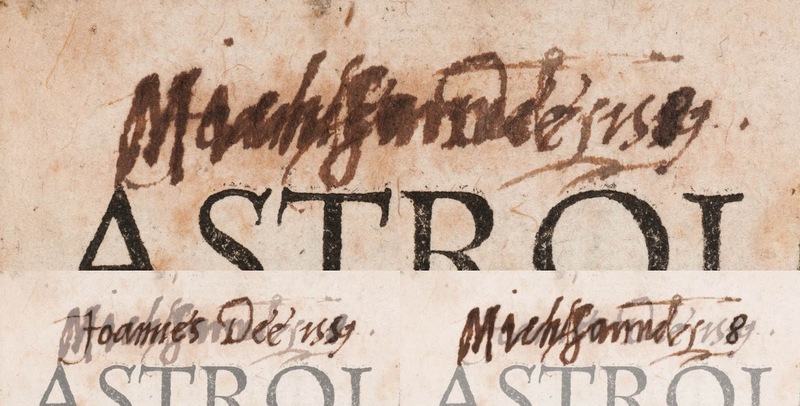 The image didn’t make the final cut, but we’ve been using a gif (animated image) of the two different signatures fading in and out as part of the exhibition publicity. Watch this space for a post about how I made the gif itself. 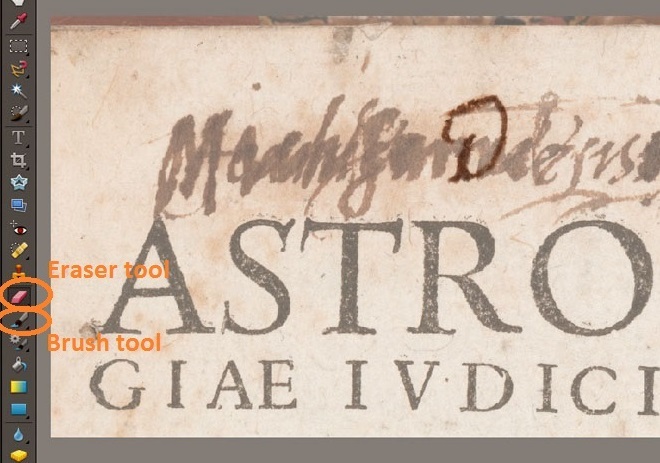 Following the success of the John-Dee-inspired gifs I put together for #musgif day in October 2015, our publicist asked if I could make a few more to use in the promotion for 'Scholar, courtier, magician'. So I duly obliged. I was quite blown away by how popular all of the gifs were, and with the fulsome praise and enthusiasm they received especially among the early modern history crowd on Twitter. 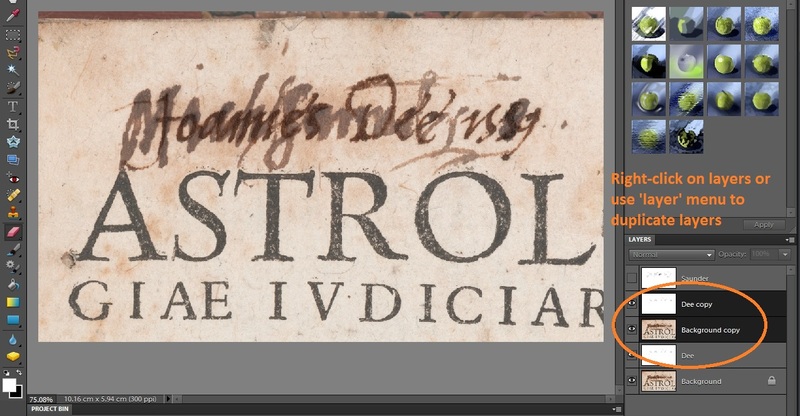 @onslies @RCPmuseum heartily concurring. Gifs that are fabulous AND educational! The gifs are successful because they fun to watch and because they add something to the understanding and experience of the books and painting by showing things you can't see from a photograph or from seeing the static item on display. Watch this space for a post or two about how I did the photo editing on Dee's over-written signature and how I made the gifs.